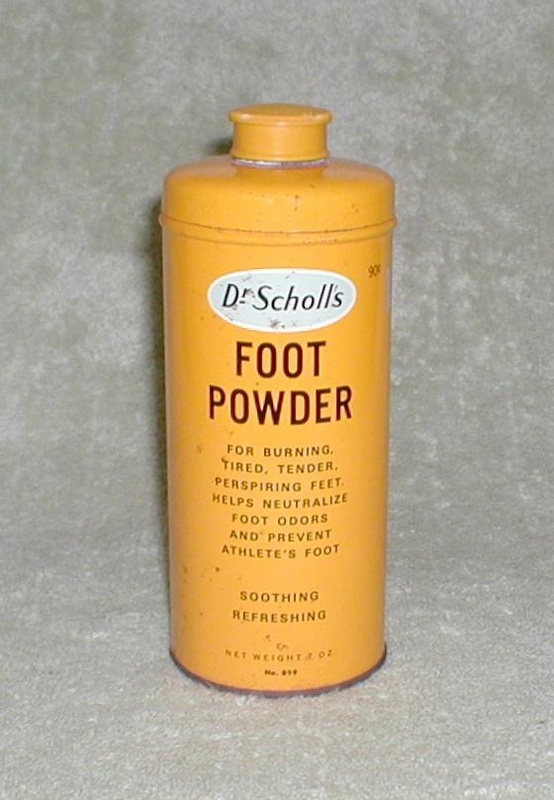 *** William M. Scholl (1882-1968) was a pioneer of foot care and the founder of Dr. Scholl's, a brand of foot care products. William Scholl was born in La Porte, Indiana as one of 13 children. He studied medicine at Loyola University Chicago. During his studies, while working in a shoe store in the evenings, he became interested in podiatry. In 1904 he invented and patented an arch support and founded the company Dr. Scholl's to sell it. My husband's grandfather invented the Dr. Scholl's foot powder and sold the patent in 1920. It came in a blue and white cardboard cylinder w/ a turn top w/ holes you could open and close. 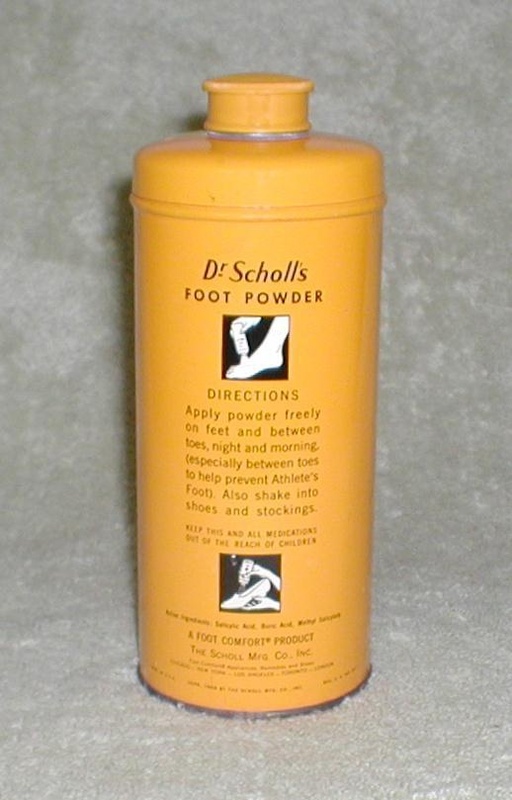 Hello Gatormaid - I was raised in the Long Beach, Michigan City, & LaPorte area so I am well informed of the Scholl name and it's origins - I also have some products from the Arno Adhesives factory which was also operated by the Scholl family and some milk bottles from the Scholl Dairy, which is still in operation. Quite a diverse and large family history there. Thank you for commenting on my item.